Time Period: 1930’s to 1950’s. 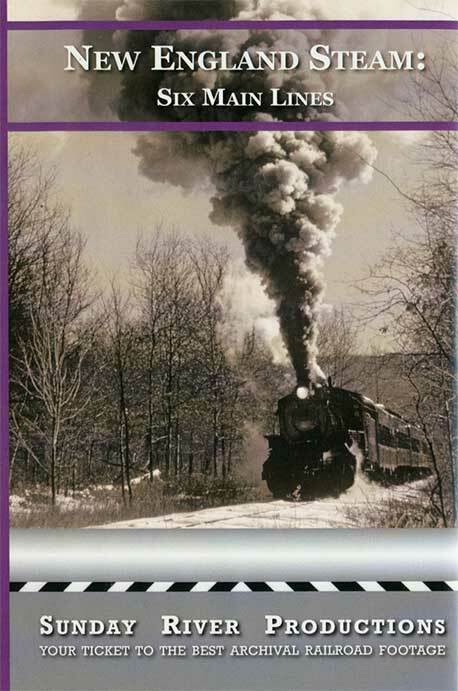 Intriguing collection of six steam railroads in New England. These films are rare. A desirable assortment from black and white sources, to see featured in a show. Sunday River has each road with its own chapter. A promising lineup of vintage trains. The authentic steam audio is up front and adds extra energy. At least a third of the films are from the 1950’s. Check the automobiles and the freight cars themselves. Let’s take a look. New Haven storms past, with a mainline freight train. CP 5400 is chased and receives a nice pan shot. There is plenty of fine cinematography. Alva Morrison Sr. has brief narrative sections. 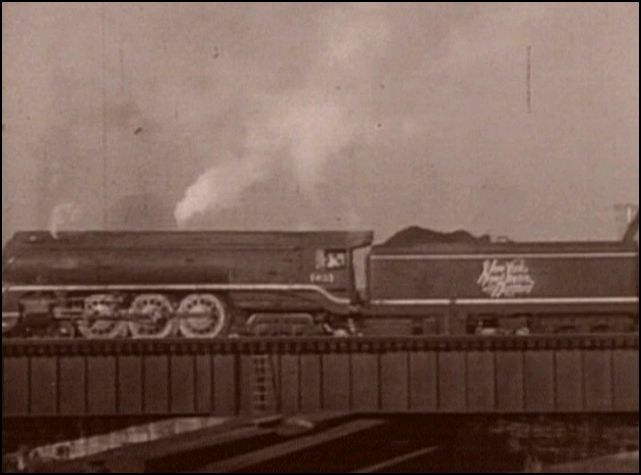 He was an early producer of train films. Seems that some of these films are within this series of film shorts. The sparse narration of some parts, maybe where a viewer may want more information. On screen descriptions are used at times and they suffice. Some scenes have train sounds. Additional scenes use Classical music for background and transitions. You will usually have a good idea of location or area. Sometimes, train station signs are used for locations. A classic method used by old movie-makers. This 2013 release is focused on the trains. The trainwatching segments are augmented by a lively soundtrack of steam sounds. Kids will love it. Adults as well, those pieces are just plain fun! This show was updated in 2013. Quality is very good. The later period footage is cleaner. Care has been taken in the overall production. 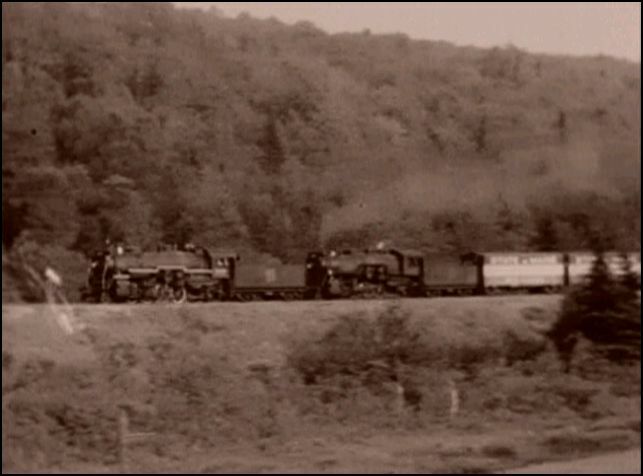 Canadian Pacific and Quebec Central. The trains move on both sides of the border. At least some of this is vintage 1950’s. A variety of trains are shown. 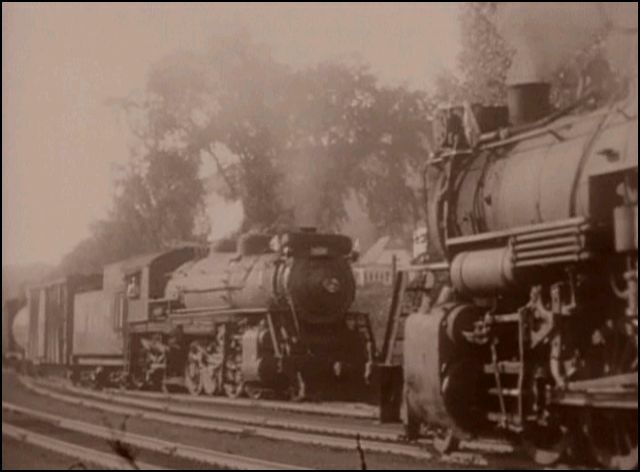 Matter of fact, CP, GT and CV were among railroads that ran steam well into the 1950’s. Canadian Pacific 4-4-0 #136 reverses and departs with a one car passenger move. 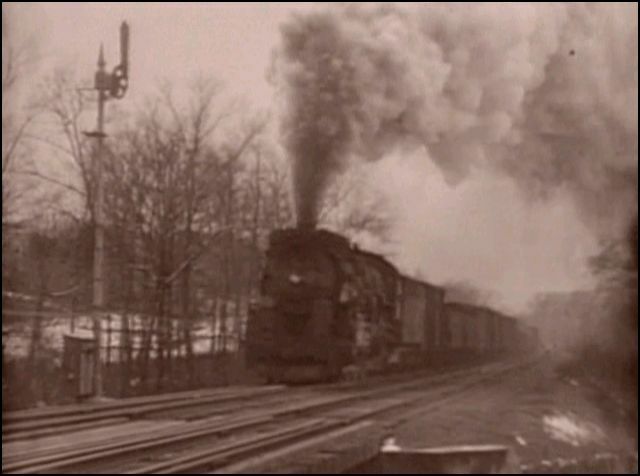 Mixed trains contain a glimpse into life before the automobile, truck and freeway took over. Each of the railroads receive a vintage style map. 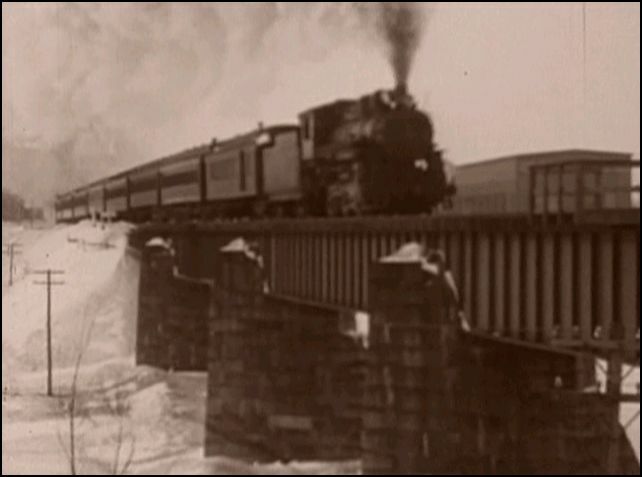 The Bangor and Aroostook in Winter. 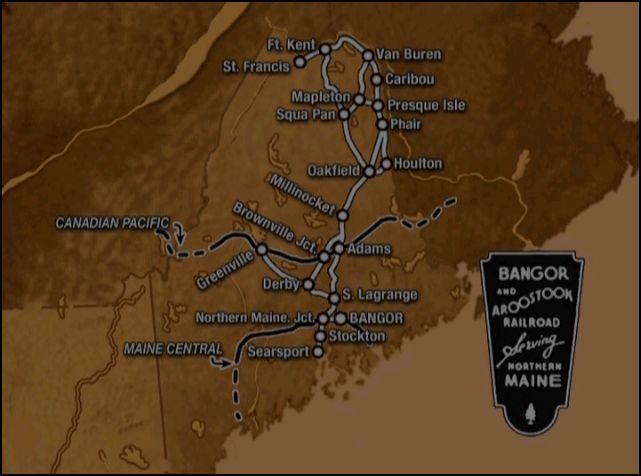 Ride a train in Maine. Some rough edits in this chapter. Rutland Green Mountain Flyer at Bennington Falls. Alva informs of the cheese car tacked onto the end of this premier train. 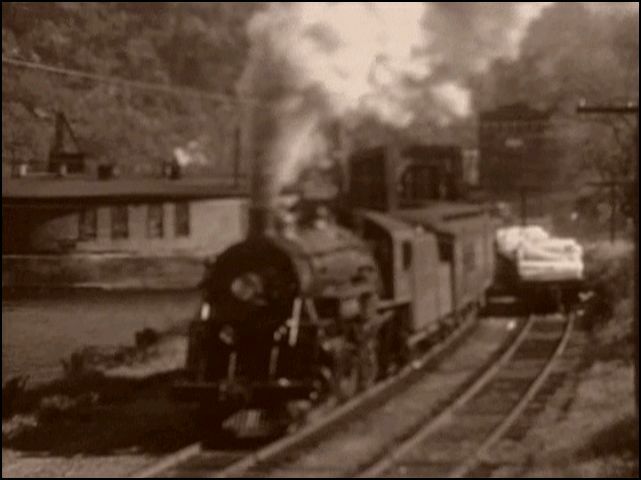 Central Vermont Railway appears to be one of the Alva Morrison original films. This entry has full and informative narration. The 2-8-0 Consolidations are co-star of the chapter. 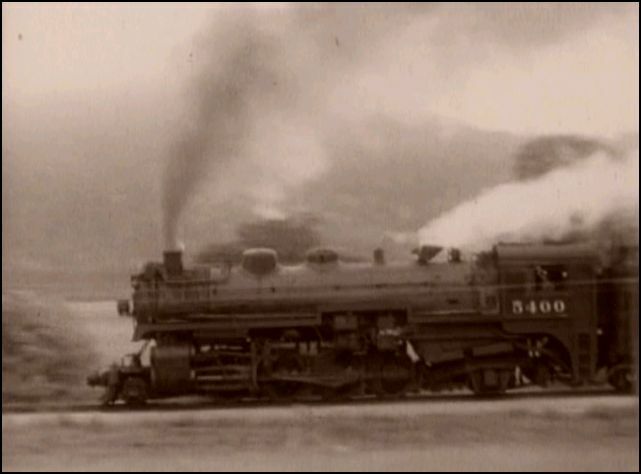 Mountain type- 600 class locomotives are the other co-star on this 12 minute chapter. Note the 50’s pickup truck at South Royalton. This CV chapter feels the most complete of the collection. 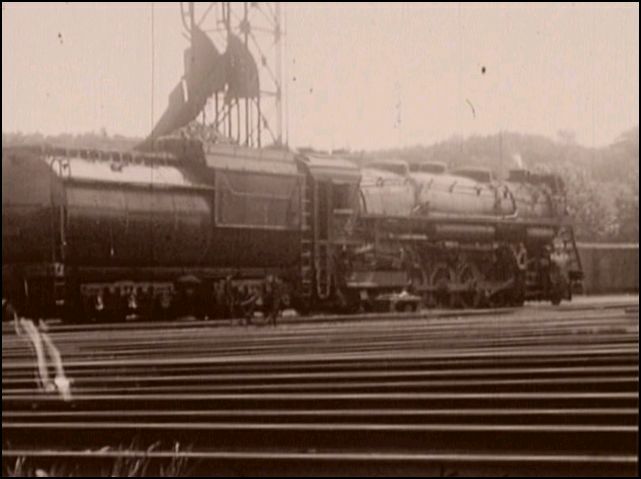 Also, Texas type- 700 class power was New England’s largest steam at the time. 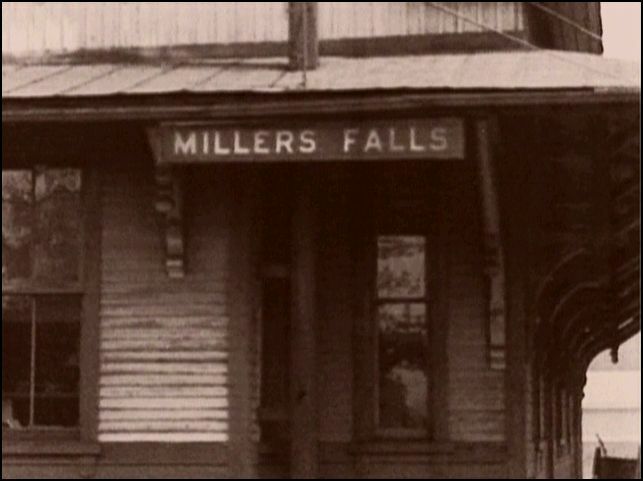 There is a good chunk of history in this Central Vermont film. Grand Trunk frequently operated doubleheaders from Island Pond. A variety of GT action is shown. Grand Trunk also runs into the 1950’s. 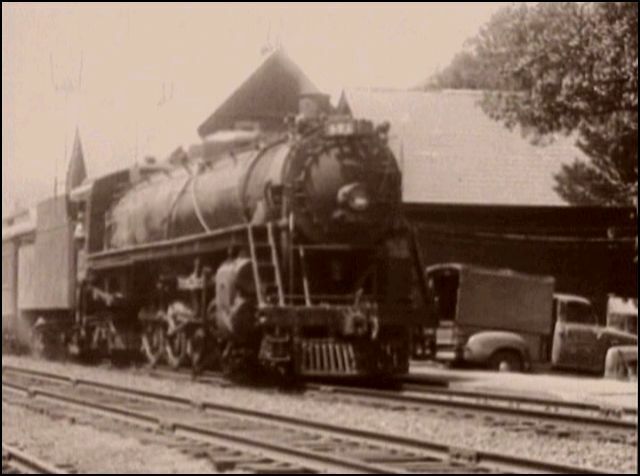 Notice the Alco RS3 diesel in a scene and a 1955 Chevy elsewhere. It’s all worthy and still great viewing. New Haven. 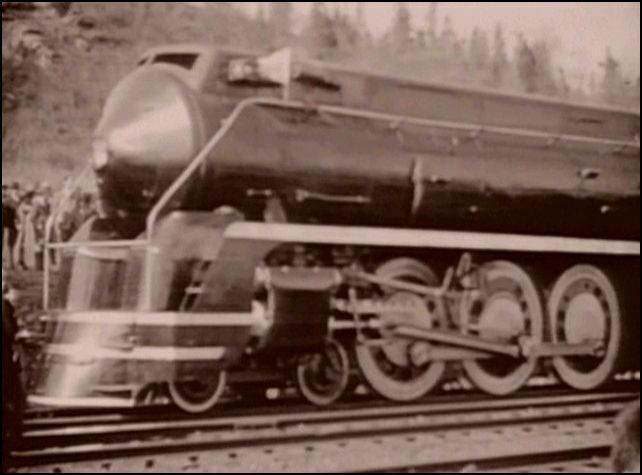 The streamlined I-5 Hudson is a locomotive highlight. Check the script on the tender logo! Additionally, the last 3 cylinder locomotives in service are highlighted. A rare surprise is a display of the brand new Hudson I-5 at New Haven. Take a quick ride on this special excursion to Poughkeepsie. The last one Baldwin manufactured #1409 was in 1937. The Comet passes by in another scene. Quite a bit is seen in this brief chapter. 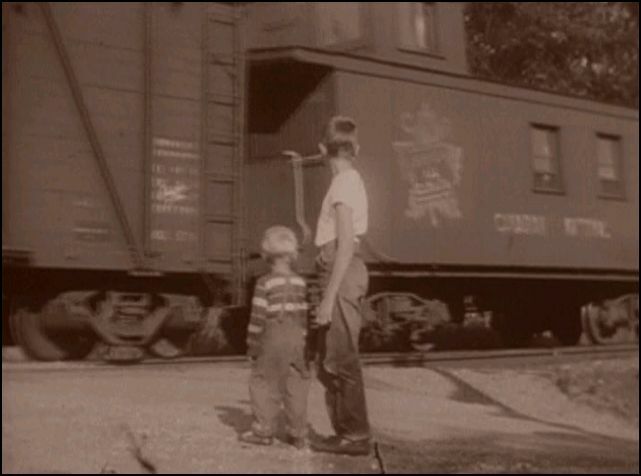 This scene is a Grand Trunk freight with Canadian National caboose. Brings back fond memories of train watching with my little brother. Although our time was 30 years later, it was just as enjoyable. The image is simply… timeless. New England Steam: Six Main Lines is a unique release from Sunday River. 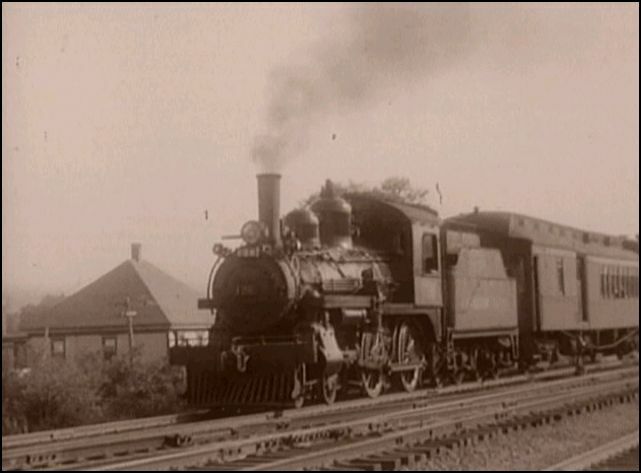 The combination of films results in a fascinating visit to the steam era. Perfect gift for the man with everything. Historical interest and plenty of action, for the entire family. Excellent show! 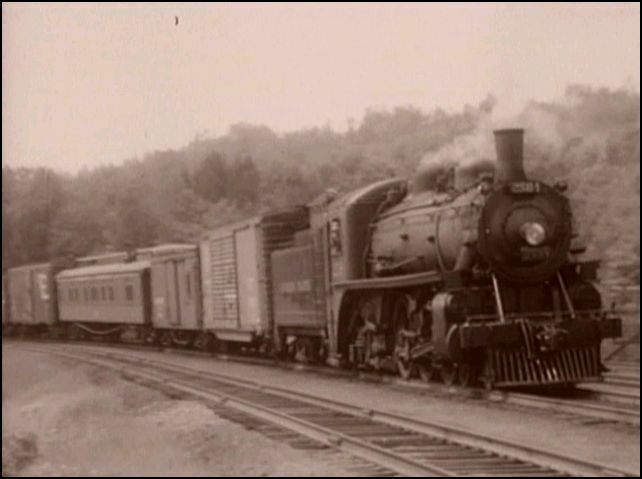 This entry was posted in ATVR Reviews and tagged American Train Video Reviews, Grand Trunk, Railroad, steam train, Train DVD, train video reviews, transportation by William J. Hudson. Bookmark the permalink.